132 pages, 33.2 x 28 cm , 1528 g.
Elger Esser produces photographic vedutas of land-scapes and buildings that exude the tranquility and romantic spirit of the early 19th century. 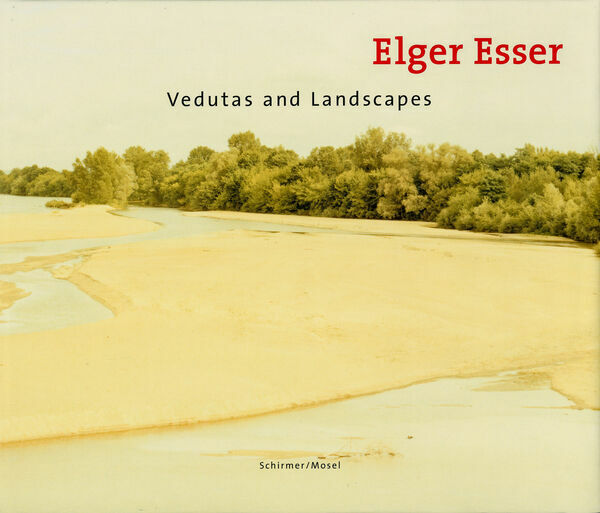 His photos of the sea, marshlands, rivers, or city panoramas would seem likewise to originate in that century, if it was not for the fact that they are quite definitely taken in color, a medium in which Elger Esser feels at home. The pale, almost faded hues that Esser aspires to create attract us as if they were some vague memory, acting like a nostalgic magnet pulling us back into a past that always remains remote. Yet Esser’s pictures are the product of the last few years, they are without doubt highly contemporary. It is hard to say which era it is that they depict.